In less than a year, the 2014 Winter Olympics will put the Black Sea resort town of Sochi, Russia, on the map. Despite being one of the most popular tourist destinations for Russians, Sochi barely registers on the international travel radar. So, when Sochi, Russia was named the host city for the 2014 Winter Olympics in 2007, most people let out a collective, “Where?”. Sochi, Russia has miles and miles of beautiful pebble beaches. Sitting in the southeastern corner of Russia, Sochi is the longest city in Europe, featuring 90 miles of picturesque Black Sea coastline. Swaying palm trees, crystal-clear water, and relaxing beaches are in stark contrast to the typical view of Russia as dark and cold. So, it really makes you wonder what the Olympic organizers were doing when they awarded the 2014 Olympics to the Russian city, or why the Russians even submitted it in the first place. It’s not like they don’t have cold cities to nominate. If the numerous palm trees throughout the city tell you nothing else, they can certainly give you an idea of what the weather is like in Sochi during the winter. With average day-time highs around 50° Fahrenheit (10° Celsius) during the month of February, the 2014 Winter Olympics are likely to be the mildest in history. However, despite Sochi’s status as a seaside resort, it does have ski resorts in the mountains close to the city, which should be well-frosted for next year’s events. 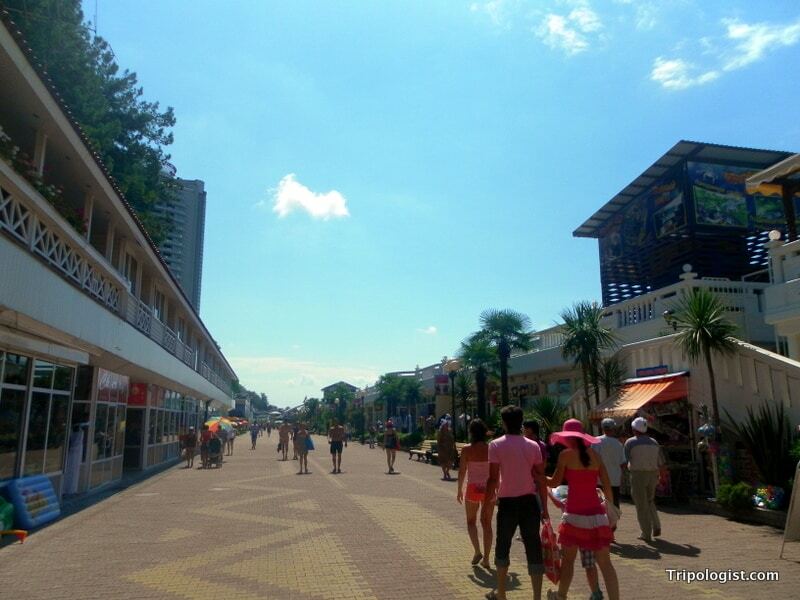 The boardwalk in Sochi is a great place to people watch or grab a nice beer. For travelers heading to Sochi, it really is a pleasant retreat. Stretching along the coast from the port to the end of the eleel zone, the boardwalk is a fascinating place to people watch or grab a cold beer and watch the waves crash on the pebble beaches that predominate the area. The city is a popular tourist location in Russia, drawing over 4 million tourists a year. However, only 3% of visitors are foreigners, and even fewer are western tourists, meaning English language signage is nearly non-existent. This makes getting out-of-town to see the UNESCO protected Caucasian Biosphere Preserve or Stalin’s Summer Home challenging at best. Fortunately, with the coming Olympics, transportation around the city and English signage should improve considerably. 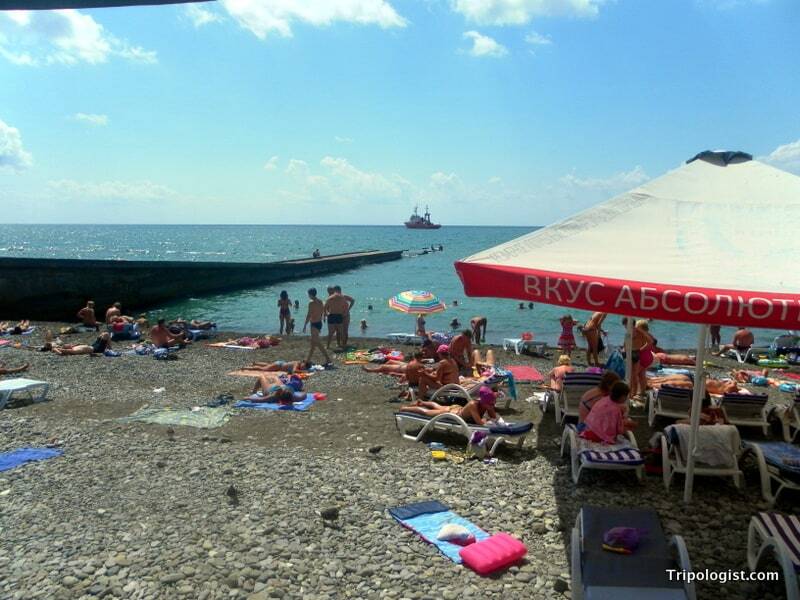 Sochi is a great place to hang out for a few days and watch Russians at their most relaxed. 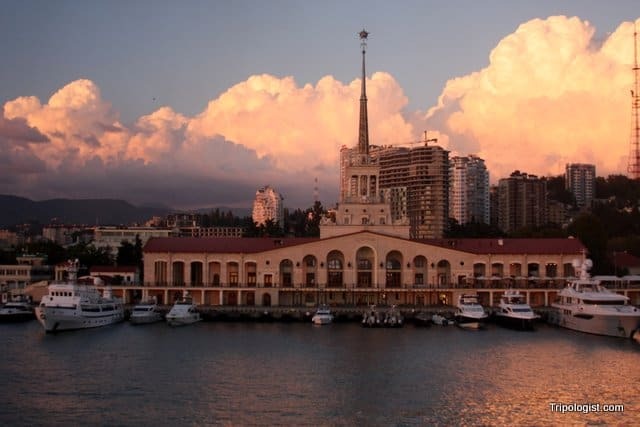 It can also be a great point for travel between Russia and Turkey, as there is a ferry that travels between Sochi and Trabzon, Turkey several times per week. While it’s hard to justify the 28-hour train ride from Moscow, Sochi is definitely worth seeing if you are close by or if you are a big fan of the Olympics. 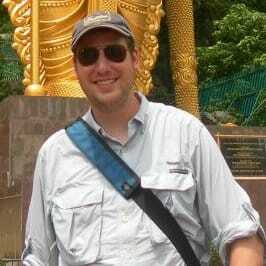 Great information on the ferry service between Turkey and Sochi. Very helpful.